Growing Berries: How To Grow & Preserve Strawberries, Raspberries, Blackberries, Blueberries, Gooseberries, Redcurrants,Blackcurrants & Whitecurrants. 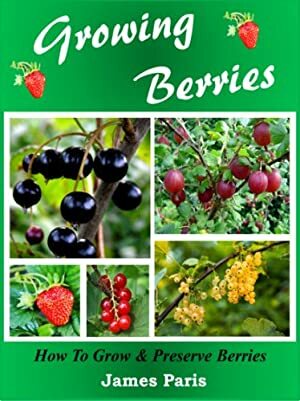 Introduction To Growing BerriesGrowing delicious Blueberries, blackberries, raspberries and a selection of currant bushes including blackcurrants, white currants andredcurrants, to add life a flavour to your garden and food larder iswhat this introduction to berry growing is all about. By usingfully organic methods that do not involve the use of chemicals orpesticides, you can easily grow your own fruit berries as a valuableaddition to your vegetable patch or raised bed garden.No longer will you have to subject yourself or your family, to thedubious provenance of berries bought from large impersonal food halls;instead you can serve up your own fresh-grown fruit in the formof delicious jams, chutneys, pies or smoothies and much more - knowinghow they were made and the ingredients included. 1. How to grow your own Berry bushes, including which varieties to choose from. 2. How to care for your plants in order to get the best results, including pruning and feeding. 3. Making a good organic compost that will assure you of the best crop of Berries possible. 4. How to control insect and disease using organic insecticides and Companion Planting methods. 5. Simple steps to protect your Berries from birds and flying insects. 6. Harvesting and preserving your fruits for later consumption. Growing your own fruit and vegetables is no longer the sole domain of the'Green Fingered!' With the help of this book you can easily begin tomaster one of the fundamentals of self-sufficiency - growing your ownfood.Click on the Amazon 'Look Inside' for more FREE info on this bookscontents. Track It. This book reaches FREE about 7 times a year. Log In to track James Paris on eReaderIQ. to be notified each time the price drops on any book by James Paris. to stop tracking James Paris. We started tracking this book on April 12, 2014. The price of this book has changed 78 times in the past 1,833 days. The current price of this book is $4.95 last checked one day ago. This book has been FREE 38 times since we started tracking it. The highest price to date was $4.95 last reached on April 16, 2019. This book has been $4.95 3 times since we started tracking it. We last verified the price of this book about one day ago. At that time, the price was $4.95. This price is subject to change. The price displayed on the Amazon.com website at the time of purchase is the price you will pay for this book. Please confirm the price before making any purchases.